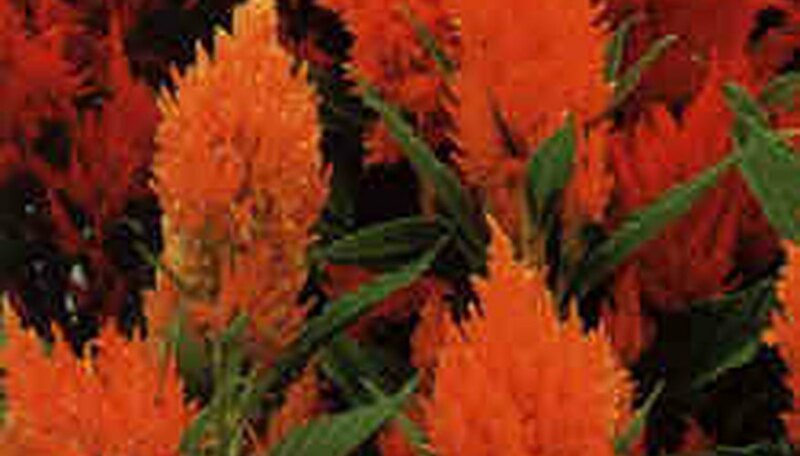 Celosia, also known as cockscomb or feathery amaranth, has plume-like flowers ranging in color from dark crimson to orange and golden yellow. Tall varieties grow to 30 inches and dwarf forms grow to about a foot. It is often used in large-scale planting in public parks because it requires little attention. Flowers appear in summer and last through autumn. They make good cut flowers and can be dried for use in arrangements. Celosia does best in warm or tropical climates. Full sun is a must, and you'll get the best results in well-drained soil enriched with compost. Start seeds indoors in spring, then transplant when the seedlings are large enough to handle and danger of frost has passed. Seeds can also be sown directly outdoors. Space tall forms 12-15 inches apart, and dwarf forms 6-8 inches apart. Keep the plants well-watered until the plants are established, then reduce to once a week unless the weather is very hot. The plants tolerate dry conditions well. You won't need to add supplemental fertilizer if the soil has been well prepared with compost.